Hello and welcome. 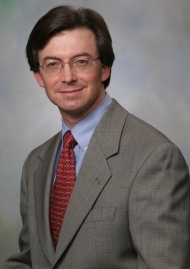 I am Dr. Barton Thomas a board certified plastic surgeon in Roanoke, VA.
As a native of York, Pennsylvania, my undergraduate education began at Wake Forest University in North Carolina. I earned my medical degree at the Wake Forest School of Medicine. I then completed my General Surgery residency at Berkshire Medical Center in Massachusetts and became board certified in 1993. As my attention became focused on restoring a patientâ€™s appearance, I pursued a Plastic Surgery fellowship at the University of Cincinnati where part of my training included a cosmetic fellowship in Miami, Florida. I became board certified in Plastic Surgery in 1996. My passion as a plastic surgeon has been on breast reconstruction and cosmetic surgery. I believe that restoring a patient to a youthful, natural, and well proportioned appearance is worthy of a career. I have built my reputation on combining the highest quality of care with patient safety and a thoughtful personalized approach. After a thorough exam, patient education is critical. Every patient deserves to understand their options and have all of their questions reviewed. I regularly provide seminars on skin care, cosmetic, and reconstructive surgeries to further patient education. Since moving to Roanoke in 1994, I have been a member of the American Society of Plastic Surgery, the American College of Surgeons, and the Medical Society of Virginia. In 1998, I joined the Carilion Breast Centerâ€™s Advisory Board and now serve as the Quality committee chairman. On a personal note, my wife and I have two children. I enjoy playing golf with my son, any beach, and traveling.